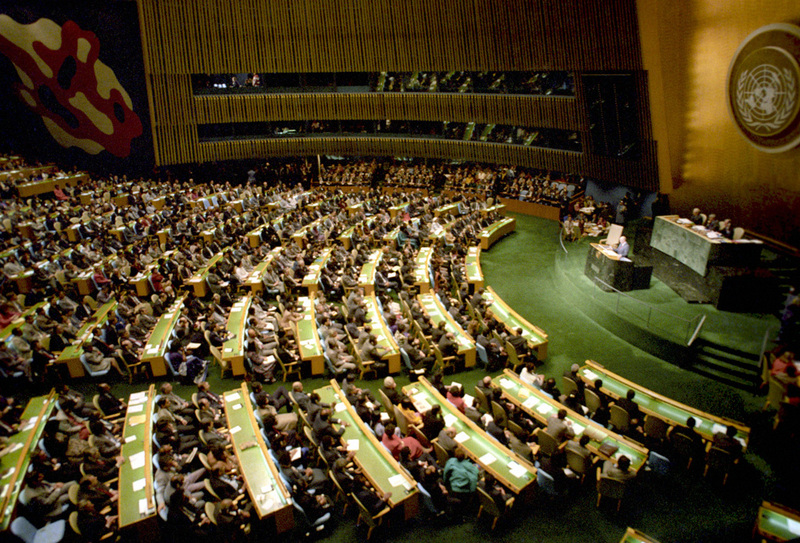 The resolution, A/71/L.41, titled, “Global health and foreign policy: health employment and economic growth,” was “adopted without a vote,” according to a UN release this week. But yesterday there was a list of country speakers to talk about it on the floor, including South Africa, Thailand, European Union, India, Russia, Israel, Bangladesh and the United States. The resolution was cosponsored by Argentina, Bangladesh, Brazil, France, Indonesia, Japan, Liberia, Monaco, Morocco, Norway, Senegal, South Africa and Thailand. The resolution is dated 8 December but was circulated by the UN as adopted on 15 December. Countries have been making a concerted effort to address rising prices for some drugs and the seemingly endless gap between available drugs and their availability for the extreme poor. One focus of the effort has been on lowering prices by separating R&D costs from end-product pricing. The report of the High-Level Panel on Access to Medicines, Promoting Innovation and Access to Health Technologies is available here, and was reported on – including wide-ranging reactions by stakeholders – by Intellectual Property Watch here (IPW, United Nations, 14 September 2016). The High-Level Panel report has become controversial through resistance from a small number of developed countries whose industries benefit from the status quo. They fear its analysis of the impact on pricing of medical products from patents could lead to losses for their companies and ultimately a negative impact on development of new products. The report offers a range of recommendations for consideration by UN member states, such as delinkage of R&D from pricing, and sanctions for countries that deter others from using the agreed flexibilities in international trade rules. The language of the resolution reflects the debate that is arising across a range of UN agencies, where developing countries try to raise the High-Level Panel report, and developed countries demand instead a focus on a trilateral study between three agencies. That study, by the World Trade Organization, World Intellectual Property Organization and World Health Organization offers no recommendations, but rather is generally seen as descriptive of existing and past activities in the three agencies. "UN General Assembly Resolution: TRIPS Flexibilities, High-Level Panel On Medicines Access" by Intellectual Property Watch is licensed under a Creative Commons Attribution-NonCommercial-ShareAlike 4.0 International License. While the proposal of a fair world-wide distribution of medicines and health-care sounds nice, it would be much nicer –and logical– if the whole concept of Intellectual Property was re-considered because, as it currently stands, the ownership of patents is being used and abused by the monopolies who, most of the time, do not produce themselves the discoveries but can afford to buy all the key patents in order to control the market and actually deter faster technological development and production of goods in order to attain exorbitant profits for themselves regardless of any Human Rights or humanity’s convenience.